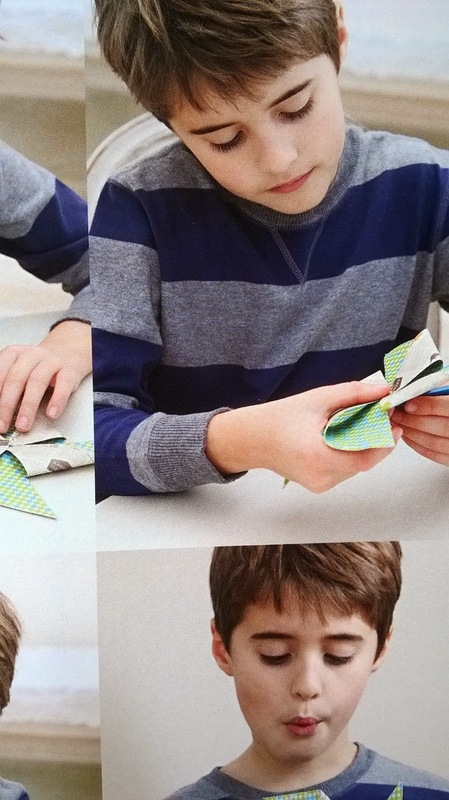 Craftacular mid term entertainment for your little angels! The mid term holidays are swiftly creeping up and we know just how hard it can be to keep kids busy and entertained especially with the cooler and wetter weather on the horizon! Though the truth is that when you're a kid you don't really care that it's raining outside and no matter how hard it buckets down you look forward to jumping in the puddles! BUT sometimes it's the grown ups that for whatever reason need to be kept in doors so finding something which will keep those little bundles of joy entertained while mum and/or dad get to work is sometimes not that easy to find. 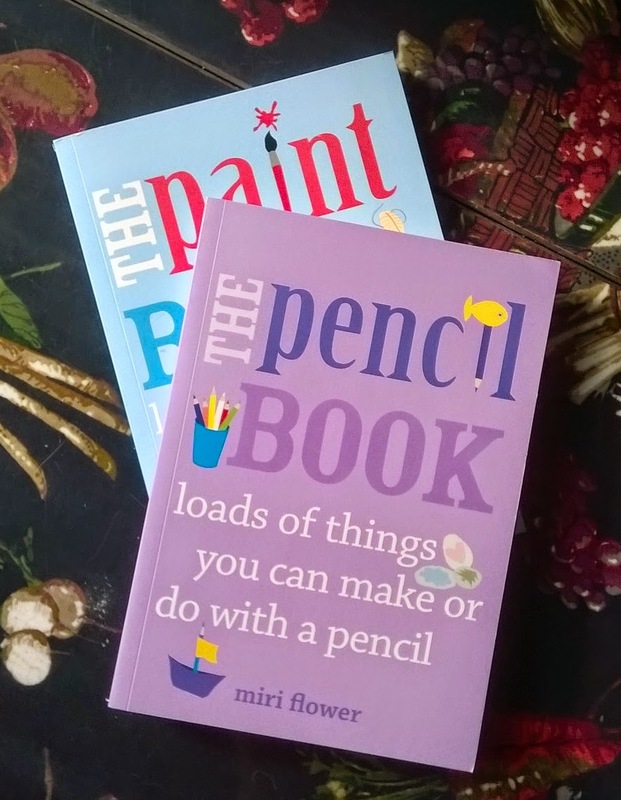 We were invited to look at and review two new books from Quarto Publishing Group (UK) by author Miri Flower, "The Pencil book" and "The Paint Book". Miri is a prolific craft blogger and has won awards for her online publication including the Sainsbury's Bank "Best family blog" award. 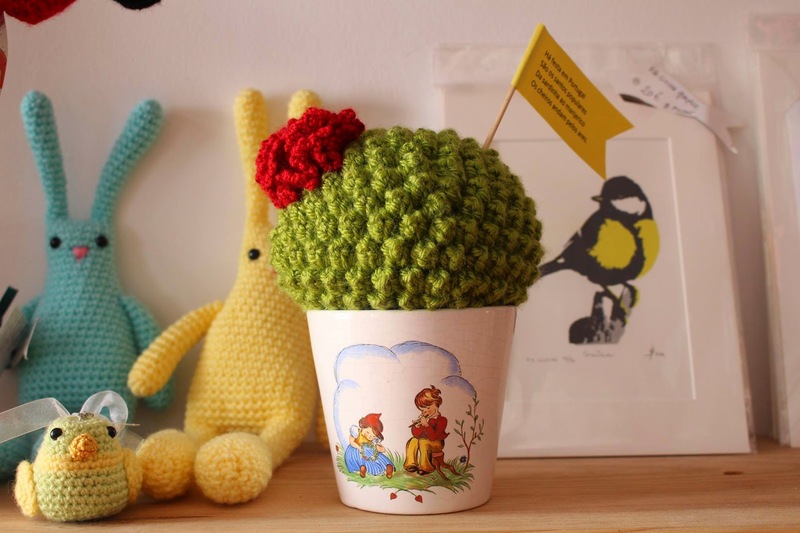 You can visit her craft blog which features many more ideas and projects. 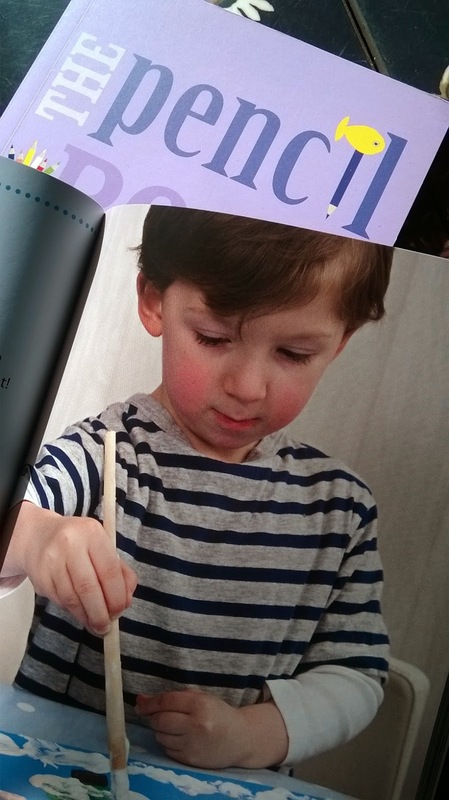 The first title is "The Pencil Book" which features lots of great projects which as the name implies can be done by using pencils. The great thing is that it can be achieved by anyone though I would say that I felt the projects were aimed at younger kids rather then teenagers. 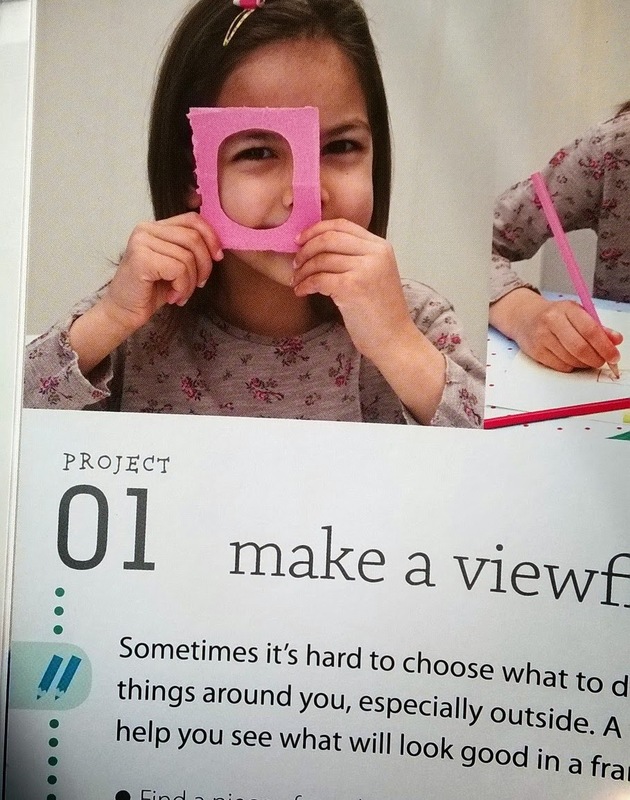 All projects are well explained and photographed nicely leaving the maker and the parent(s) happy and confident to just go for it. Ranging from ideas like recreate your own masterpiece, making paper mosaic to making an actual pencil holder out of coloured pencils! 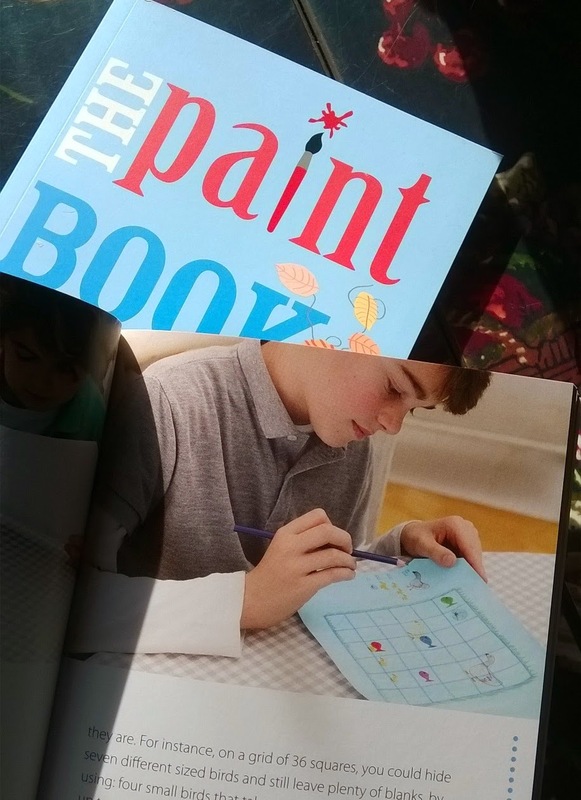 The second book is "The Paint Book". 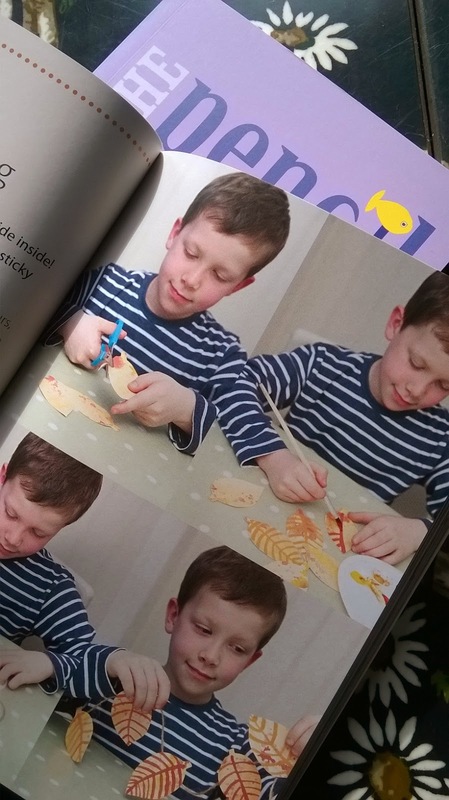 Again it's a book which requires little crafty expertise so anyone can learn without feeling uneasy or overwhelmed. 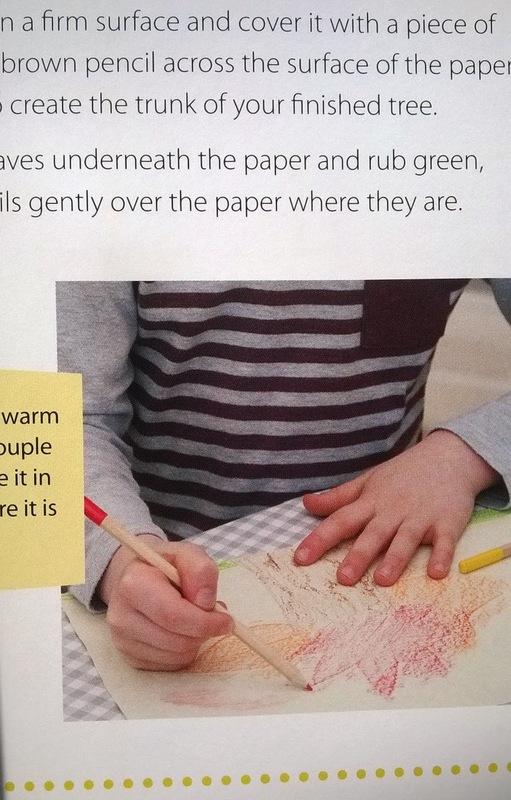 As you can guess by the title it's exploring projects mainly through the medium of paint. 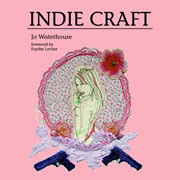 All projects are well explained and I do like the way the author has chosen projects that are suitable for both sexes. 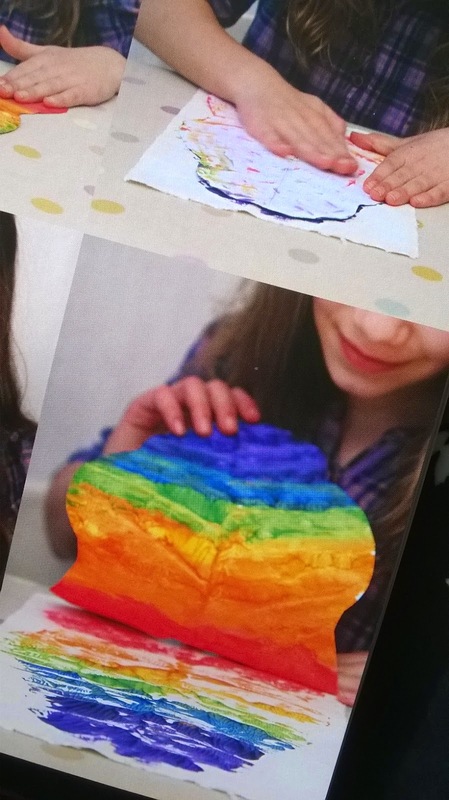 I get the feeling that she's tried and tested these projects quite a few times on her own kids and that both she and they really do enjoy making them! I also love that all the materials and tools are either inexpensive to buy, easily available or things you can find at home. Funnily enough most of the projects on both books are things I remember making as a child. 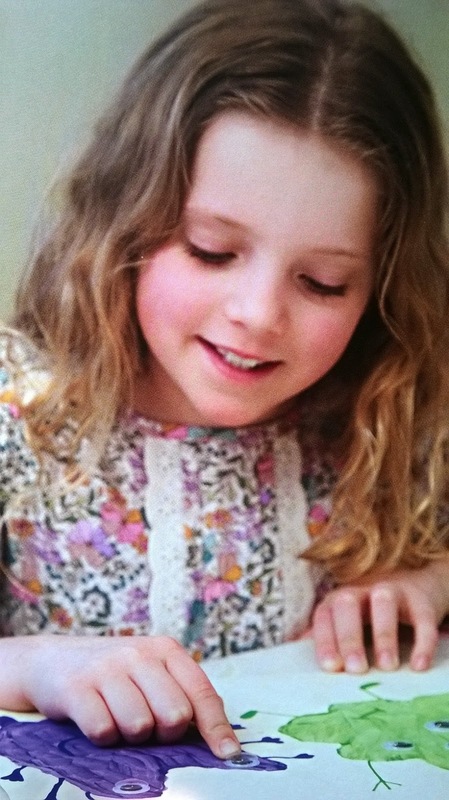 I remember the times I used to sit at my little desk in my bedroom painting with my fingers or the afternoons spent with my cousin over summer holidays at my granny's stamping potatoes to make patterns or writing secret letters with lemon juice to the cute boy next door! It was all good fun!!! 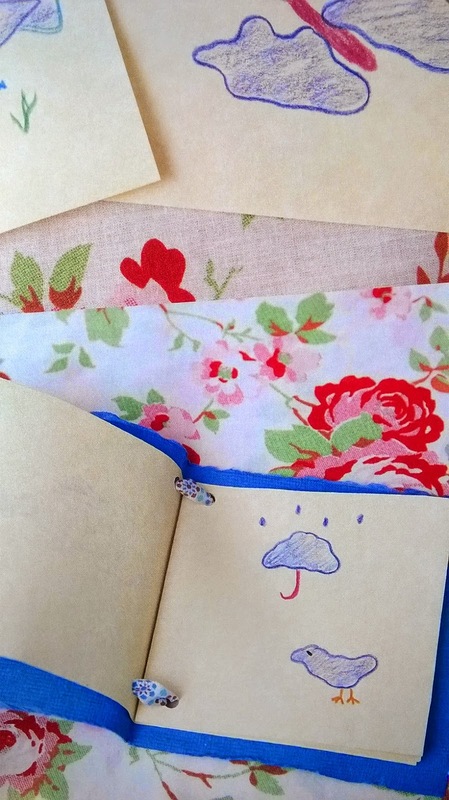 Basically these two books are packed with lots of interesting projects and I think it will keep your wee ones happy plus there are also a few projects like "make your own leaf bunting" which will require some outdoor fun too! I have to say that though at the moment no kids were involved in this review I look forward to taking these with me over Christmas to France and using the nieces and nephews as guinea pigs. I'm sure my mother in law will be super excited too at the prospect of having all six of them quietly making for at least an hour!!! It's tough and I admire all mums and dads who can get their kids away from the telly or the PlayStation and happily making some creative crafts! 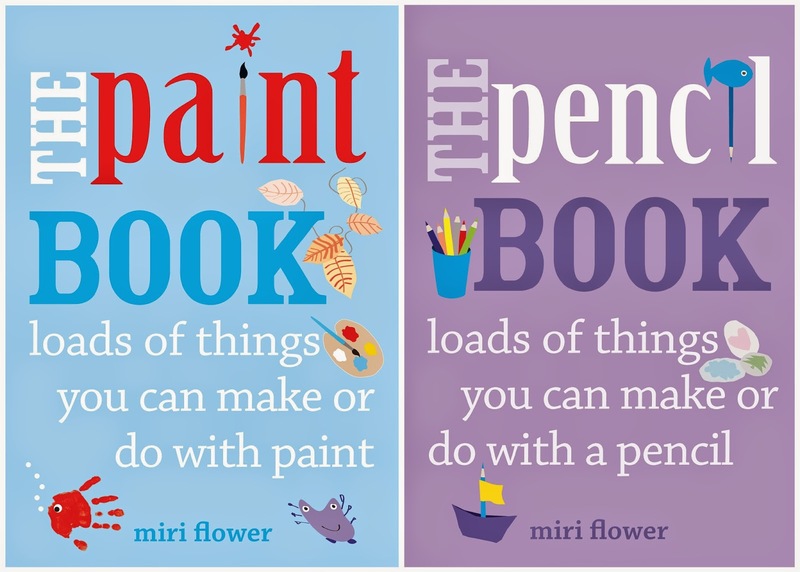 Well done Miri... we give these two books a very big paint smeared thumbs up! 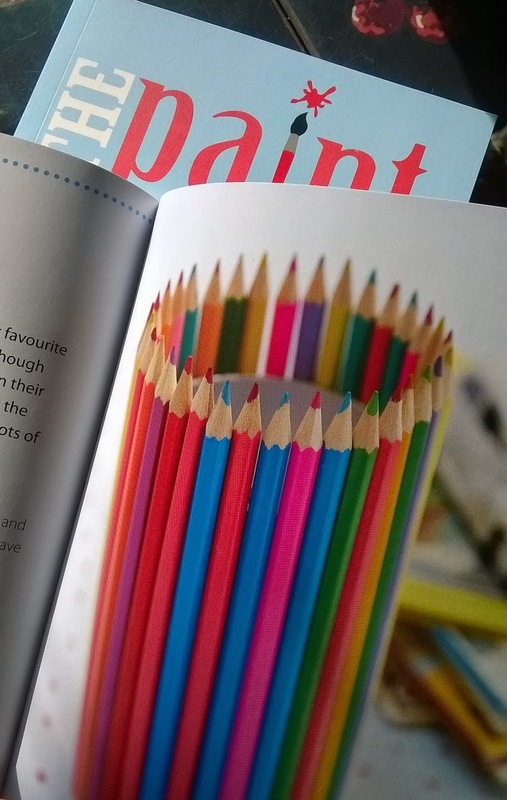 To order The Paint Book and The Pencil Book together at the special offer price of £16 including UK P&P, telephone 01903 828503 or email mailorders@lbsltd.co.uk, quoting the offer code APG227 and the book ISBNs 9780711235830 and 9780711235847. Kitchenalia... 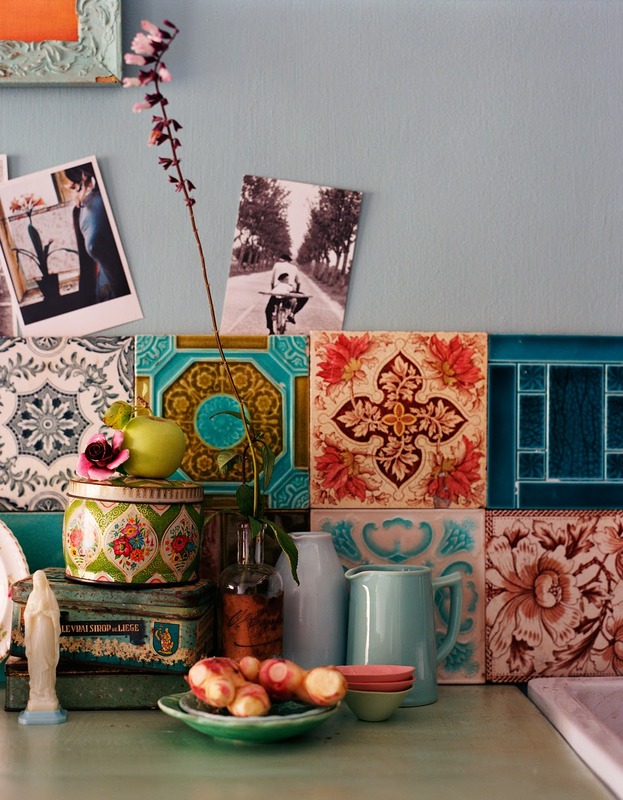 The perfect inspiration for sorting out your own kitchen! I love being in the kitchen, mainly because I find cooking a therapeutic pursuit rather then a chore plus I love the way it allows me to experiment with recipes through creative thinking and trial and error! Decorating is a bit like that... follow a few simple rules and you can get the right look for you and your home... and if it doesn't quite work out just tweak and adjust! Kitchenalia from Jacqui Small publishers is one of those books that I found really hard to put down. I found myself cooing over most of the kitchens which didn't help me make up my mind as to which style I prefer for my own! It's hard... there are so many great looking styles and even though I thought I knew what I wanted this book has completely transformed my view of "my ideal kitchen"... and that's not a bad thing but it means it's back to square one! It actually made me rethink a few points like usability, theme and even down to the utensils and furniture I would add to mine! 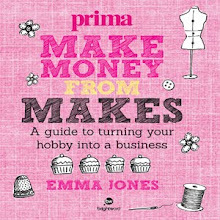 yes, all the looks in this book can be achieved without turning you into an undecided mess! I guess once you've figured out what overall look you want then the rest is simple. 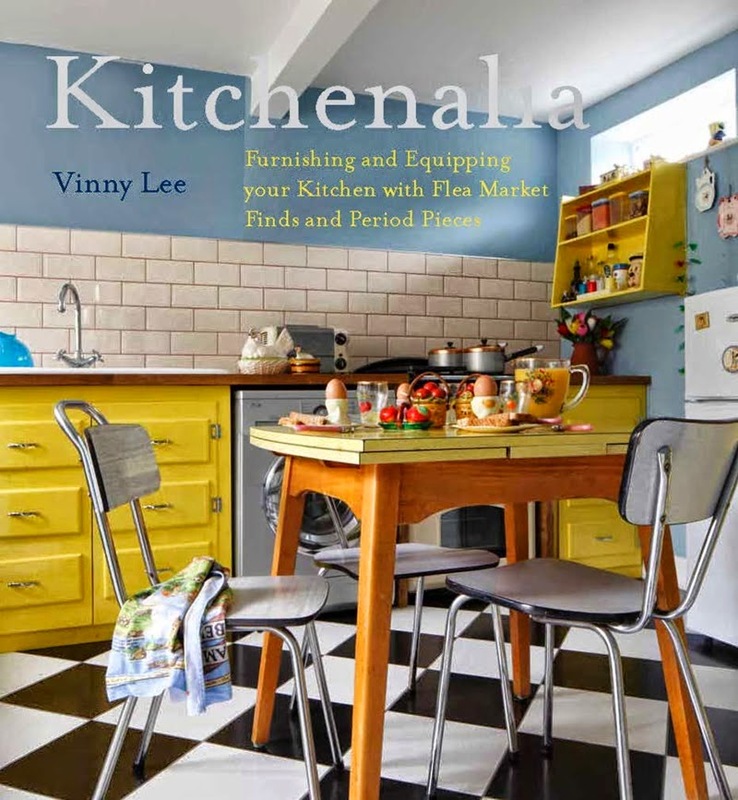 The author Vinny Lee is a master of crossing over styles and making them work demonstrating just how easy it is to add personal style to your own kitchen. I like the way it's categorised into two large sections to allow easy reference. 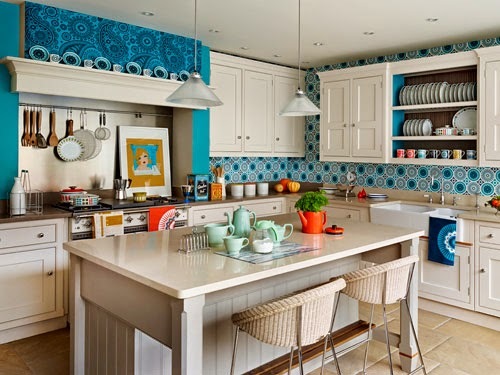 A variety of sub sections showcase key styles and themes through The Kitchenalia Kitchens which include numerous styles from retro kitchens, collector's kitchens to reclaimed kitchens. The Kitchenalia Elements presents all other extras including crockery, storage, furniture to lighting! I get the sense that Vinny Lee knows her stuff and her CV is proof of that! 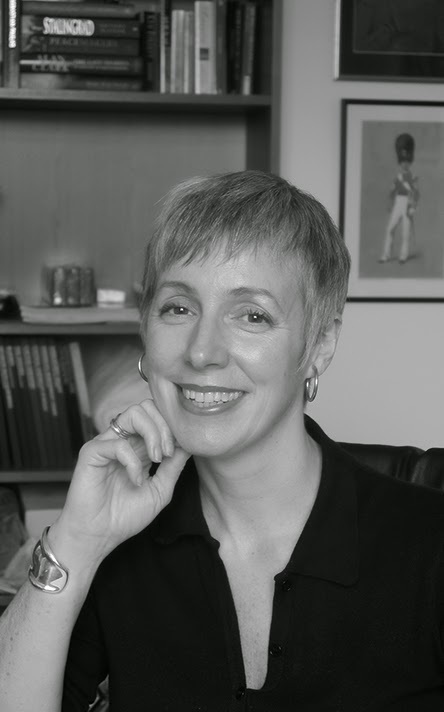 She writes regularly for The Times, House & Garden magazine -amongst other international magazines- and is also the interiors editor for the Sunday Express magazine. What I do also love is the vast array of styles and the fluidity of the book as a whole. The photography is beautiful to say the least and it doesn't alienate readers into thinking it's unachievable and that it's all taken out of a show home. The very opposite, as I can actually imagine myself cooking in any of the kitchens featured in this book without feeling like an extra in a period film! It doesn't look like a film set or an anachronism to the past! 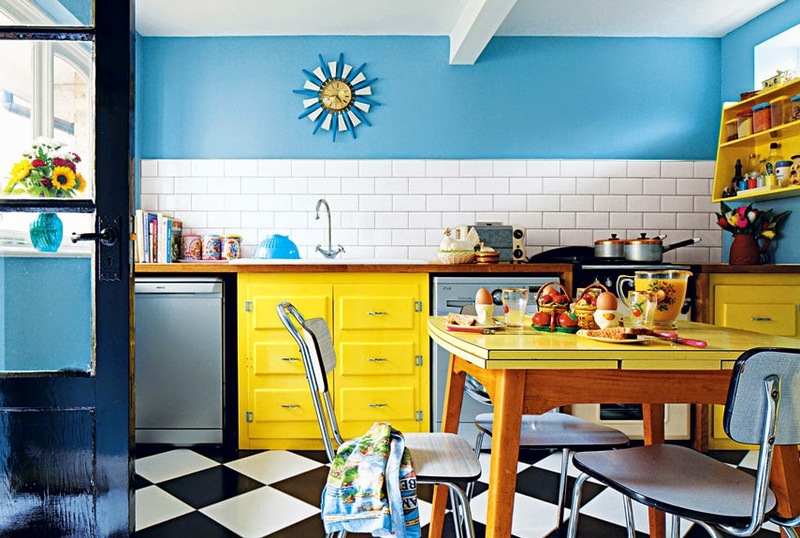 It's neither contrived nor fake but updated to cater for our hunger for great timeless retro design! 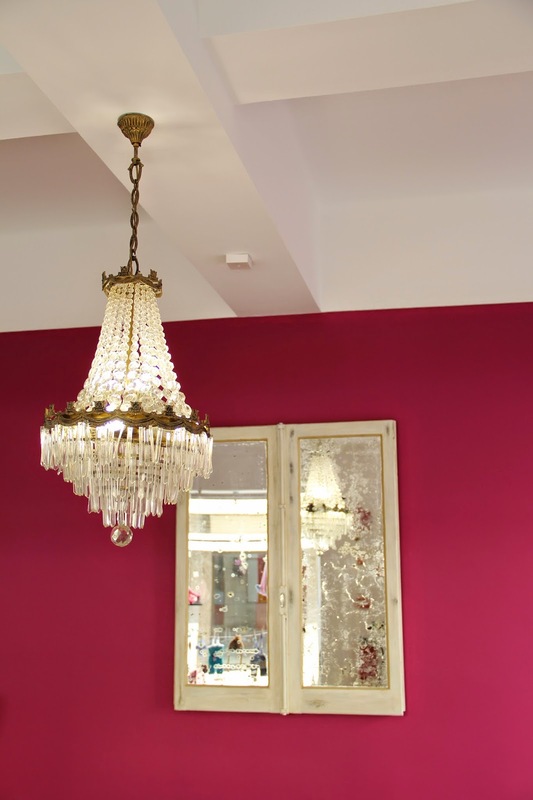 There's lots of handy info and tips on how to get the look without having to raid a bank to create your dream space! 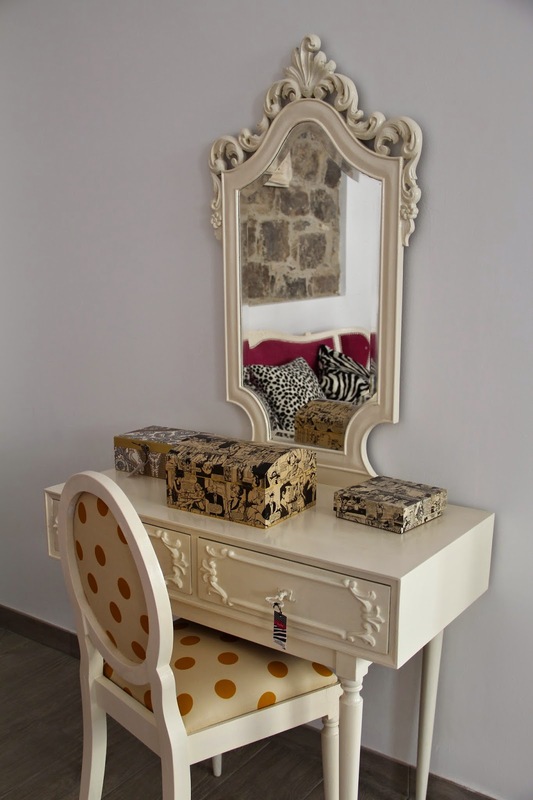 If you're minimally crafty there's a plethora of ideas and inspirations that tap into up cycling and scavenging -Who doesn't love a good skip dive?- so you can add a few key pieces that will transform any dream into a reality. Thank you Vinny for instilling that confidence and for letting us in on a few trade secrets too! At present my kitchen is a pea green ode to the 1980's. It wasn't my choice but I've learnt to live with it.... but I won't have to for very long! 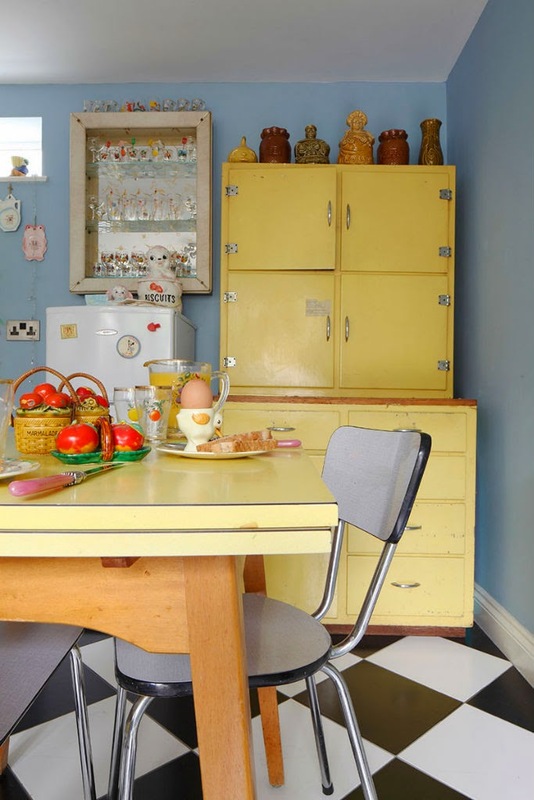 It's a mish-mash of bad choices and very little original features though I do have a few possessions that will fit in perfectly with my new kitchen look just as soon as I get to grips with the enormity of the task. In one hand I'll be clutching a copy of Kitchenalia, and in the other the wall paper stripper plus the belief that I can do this. I know I can! To order Kitchenalia at the discounted price of £25.00 including p&p* (RRP: £30.00), telephone 01903 828503 or email mailorders@lbsltd.co.uk and quote the offer code APG221. 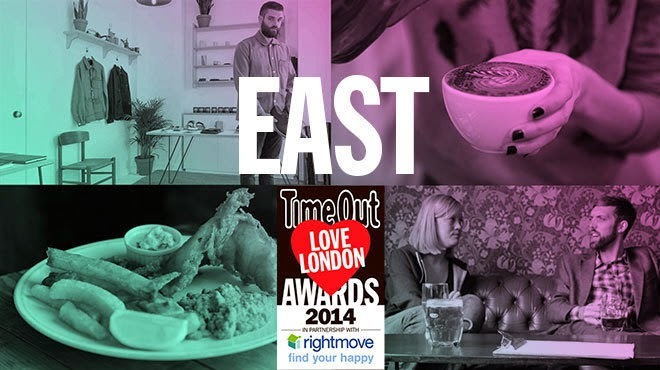 Love London Awards... and we're in the finals!!! It's been a long time... well we've been going unofficially since 2006 so we're absolutely delighted that we're finally getting some recognition in our part of making the local economy diverse and vibrant! Walthamstow has an amazing an diverse indie business community and competition is fierce... it's an absolute honour to be listed alongside the others! I had a hard time choosing my faves so... I know it's not going to be easy!!! So if you'd like to help us then visit the website, press E (for East London) and you'll see "Walthamstow" our lovely neighbourhood. 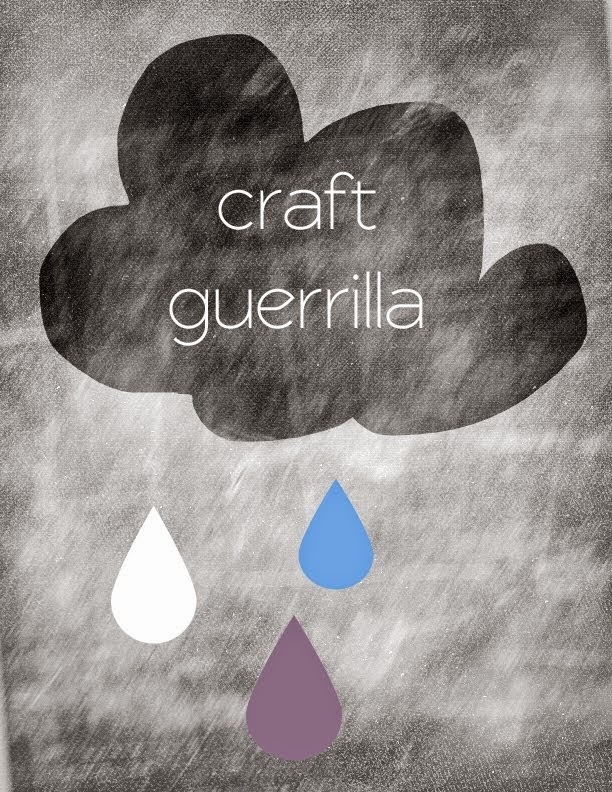 Our shop "Craft Guerrilla" is listed in the Best local shop category. Voting's open for three weeks from October 7... so if you love what we do then please VOTE for us. Finally... we'd like to thank all our lovely patrons who voted for us in the first place and it's because of you that we've made it to the final!!! Your support has been what's kept us going and as you know sometimes it's been difficult to keep ourselves in business though as hard as things seem to get we're reminded of why we're here doing this... it's because of you lot and the love you've shown us! Also a huge thank you to all the designer makers and collaborators that have worked with us, past and present. We salute each and everyone of you... you guys rock!!! As some of you may know I spent a chunk of my youth in Faro, a tourist town in the south of Portugal. OK... so maybe you didn't and if that's the case then you've just learnt something new about me! Also it's no longer a Town but a full on city with a university and everything... But tourist town sounds better so I think I can just about get away with that one! Growing up in a predominately "airport" city wasn't easy. Life in general was based around the tourism industry and finding ways to pass your time in a sleepy sea side city was a chore especially for creative kids like me and many of my counterparts. If you weren't a surfer or a sporty type then you had to make your own entertainment. Because I've moved away 23 years ago with every visit I notice the subtle changes which might escape residents but there have been numerous tiny ones and awesome changes too. On this last one I noticed that some places and not just shops but bars, restaurants, cafés too were opening with a distinctive modern flavour. Back when I lived in Faro there was a serious lack of creative entrepreneurship but luckily that's no longer the case!!! In my brief past life in Faro I found most of the city's hand made offerings were mainly tourist fodder and not much else. Shelves filled with painted plates depicting ladies in traditional dress riding a donkey amongst the almond trees, colourful Portuguese roosters and mass produced lace covered doilies seemed to be the norm in every Artisanato (craft) shop. It was all pretty safe and not very exciting! Now thankfully a few interesting places have cropped up... 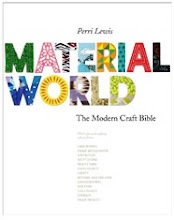 I get a sense that people are changing their tastes and are finally getting into the philosophy that hand made items are not just a great way to buy original goods but also to help create a sustainable, vibrant and viable local economy. I so wish Faro had been ready for me all those years ago but alas the next generation have grasped the concept by the horns and are no longer afraid of taking a risk though these new crafty people are smart, talented and actually just doing what they love. They are following their hearts... so hopefully not as risky as you'd expect as it's done out of pure passion! 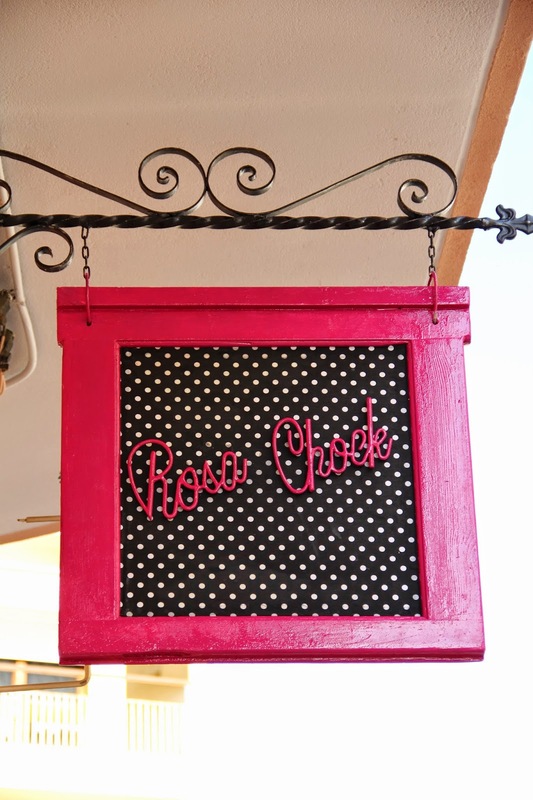 You can find Rosa Chock on Rua Horta Machado a hop and a skip from the historical centre. 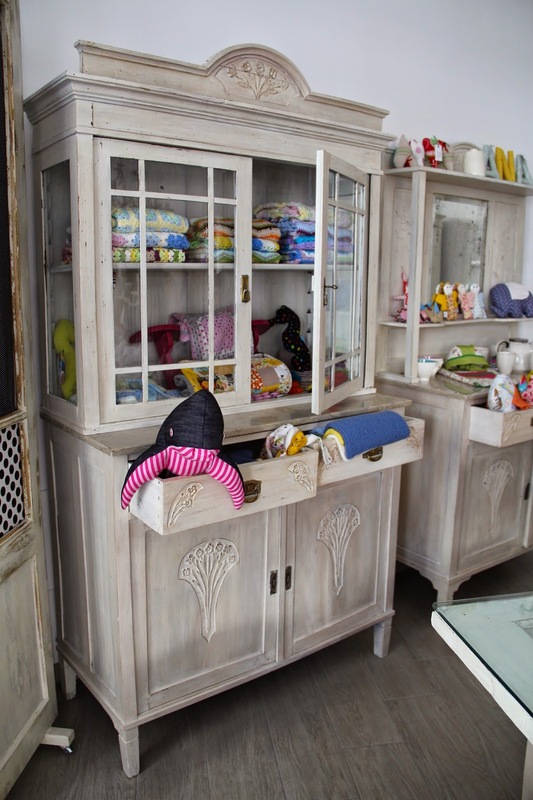 It's a friendly, modern space housed in an old cobblers' shop ("Sapataria Limpinho") which now sells hand made items ranging from mostly children's clothing, toys, home wares and up-cycled vintage furniture. 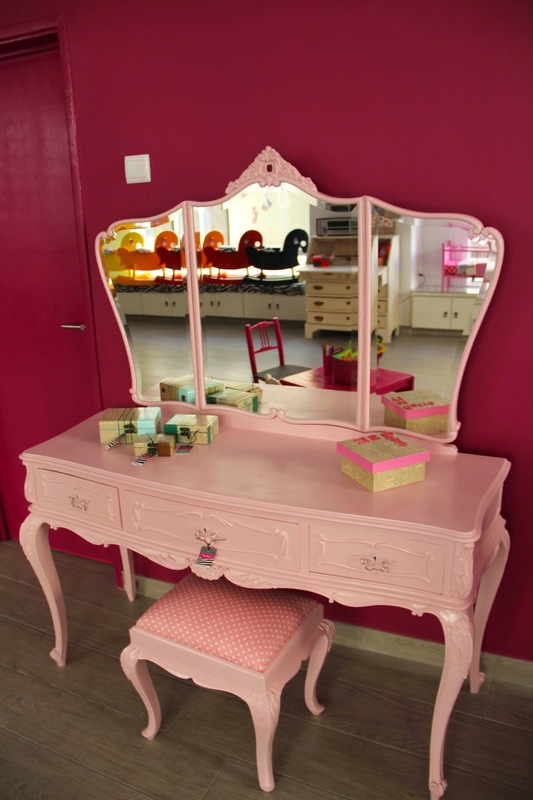 We give Ines and her pretty boutique a huge crafty thumbs up and we wish her all the success in the world!!! Part of Faro's historical commercial center regeneration scheme this amazing shop is set up to function as a cooperative and event space. 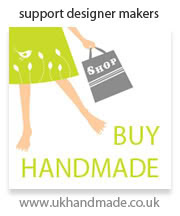 Selling hand made items from local designer makers to the general public as well as to craft loving tourists. The shop I visited in Rua Conselheiro Bívar is situated in a vibrant part of town in a formerly unused commercial space. 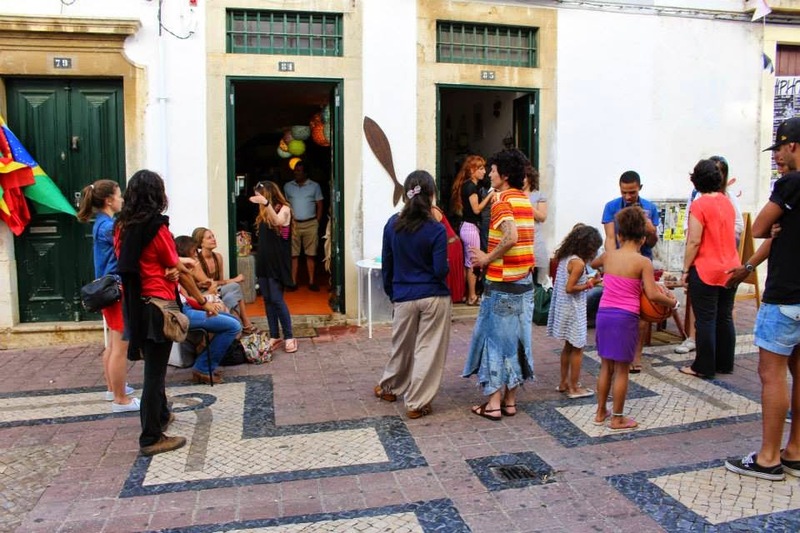 This area houses mostly pubs and clubs which cater for night owls but because they also do things a bit differently at Sardinha de Papel it sits harmoniously alongside the hustle and bustle as they offer DJ sets, live music and other interactive activities. Set up in 2013 to explore and promote the city's new talent and to provide a space where people can shop for original hand made gifts and discover a breathtaking variety of hand made goods ranging from home wares, clothing, jewellery, toys, ceramics and more which are manufactured by small independent creatives and makers. 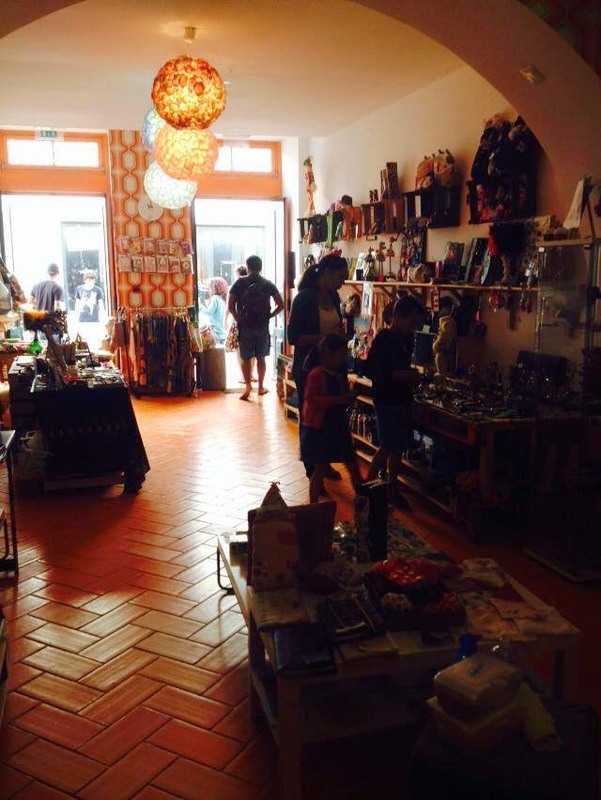 This venture has now opened its second space in the old town centre in Rua de Santo Antonio which is great news! 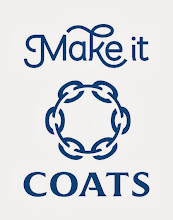 We love to see craft getting onto the High Streets and offering fresh alternatives to shoppers. 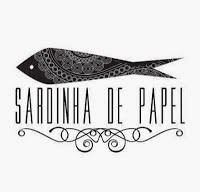 I know lots of people already love this shop -most of my friends talk highly of Sardinha de Papel and they all recommended I visited- and they all tell me how much they like having a shop like this available to them in the city centre. With two sites in Faro I can't see how they can go wrong, in fact I hope they continue to grow! Best of luck to Vera, her team and their awesome shops!!! 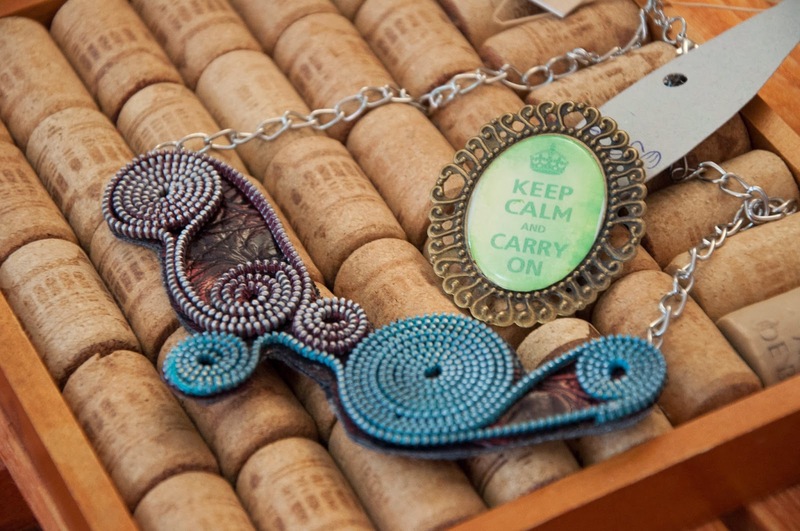 So that's our pick of the Faro Hand Made crop -I'm sure there will be more in future as the creative spirit is alive and well!- and if you ever find yourself in Faro, don't be shy... tell them we sent you... I'm sure you'll get a very warm welcome and you'll definitely leave with a bag filled with amazing goodies! Next visit I'll be reviewing a few antique and vintage fairs which are dotted around the Algarve... can't wait to go back in summer and find some more gems!! !